General Motors India has closed a chapter of its history today. The Halol plant in Gujartet officially hit the lights after 21 years of operations, according to AutoCar Pro. GM had previously disclosed its intent to shut the plant down earlier this year, stating it would consolidate all of its Indian manufacturing at its Talegaon plant in Pune. The final vehicle to roll off the assembly line was a Chevrolet Tavera. The Chevrolet Cruze and Enjoy MPV exited production at the plant ceased prior to the closure. 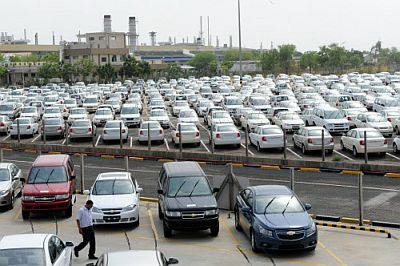 GM has plans to increase output at the Talegaon plant from 130,000 vehicles to 220,000 vehicles by the year 2025 as it eyes India as one of the final frontiers of the automotive industry. In the meantime, GM is negotiating to sell the Halol plant to China’s SAIC, also GM’s partner to do business in the country. Both parties haven’t come to a final deal yet, but it’s likely an announcement will be made following “government approvals, settlement of labor and all other pending issues by GM,” according to a previous statement from the automaker. GM continues to flounder in the Indian market despite major product offensives. GM India holds just 0.85 percent of the passenger car market. GM India’s export business in the country has long been credited with keeping the Talegaon plant operational. Most recently, GM India announced it would begin exporting cars to Mexico and Chile.